I belong to a CSA - which stands for Community Supported Agriculture. As they say, membership has its privileges. Every week from May to November, I pick up a 1/2 share of fresh, delicious, organic, and locally grown produce. 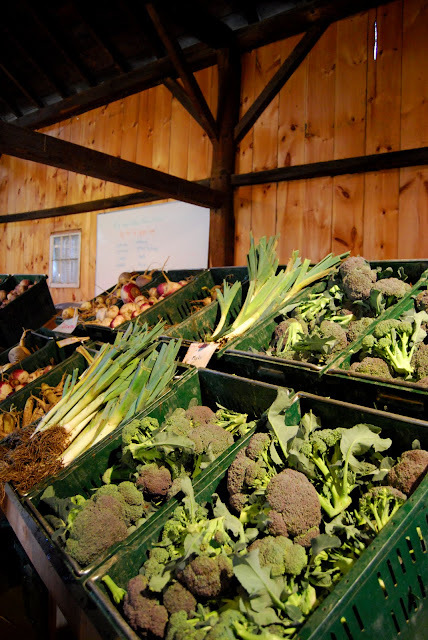 I got a message earlier this week that - AMAZINGLY- farm shares are still available at my CSA, Mountain View. What are you waiting for?! Get on the horn! Oh look at that! I cannot afford a share so Bugink and I are going to grow our own awesome csa garden in my backyard. When it's all green and beautiful we will have a garden party with fancy drinks and fresh greens and invite you over! I love your posts. Your pictures are amazing! Thanks for sharing all this beauty.